“Welcome Sir, Congratulations Sir. Singapore won first gold medal,” said my Comfort taxi driver as I boarded the vehicle. We were going to drop our daughter Arushi Das for a stage dance performance. We were happy. But our driver brother’s news made us happier. Entire journey we discussed about what this achievement means to Singapore. How big a star (deservedly) will this 21 year old gold medal winner become. I then shared the knowledge with my kids about the magnitude of the achievement, the winner’s name and how frustrated as an Indian was I with India, our birth country, not winning anything at Rio. Joseph Schooling has won Singapore’s (remember that little red dot?) first Olympic gold medal at Rio 2016. His 50.39secs 100m butterfly swim smashed the previous world record of 50.58 secs. 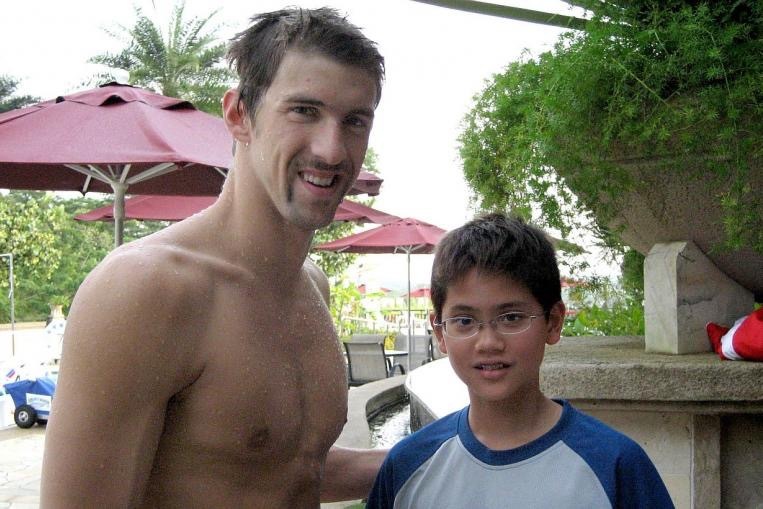 That record set by legendary Australian swimmer Michael Phelps in 2008 Beijing. Schooling left Phelps behind (second) at Rio too in this event. I learnt about Joseph Schooling only few days ago. Our family friend’s​ nine year old son Rohan Nanduri, slept at 9pm on a weekday putting an 11:45pm alarm to wake up and watch Schooling swim in his other event – 100m freestyle semis. The University of Texas educated boy came last in that race disappointing an entire nation’s biggest gold medal hope. On that night, Singapore’s other swimming hope, Quah Zheng Wen also failed to make to the semifinals of the 200m butterfly event. The nation was disappointed. There were murmurs about big stage failure, the standard whining had started and the swimmers took apologetic stance in front of media cameras. Joseph’s Asian games gold or the 16 odd South Asian games gold medals seemed of little value that day. Today though things will be different. A generation of kids who have world class facilities at their disposal, always needed one thing – a local world champion icon. Schooling is now a global role model. Forever. Schooling has educated a nation on patience, on the need to back your people at tough times, to believe in what belongs to you. A lesson which Singapore needs – being known often as ‘least happy’ nation of the world. This achievement will lift the nation’s happiness index, atleast for some time. 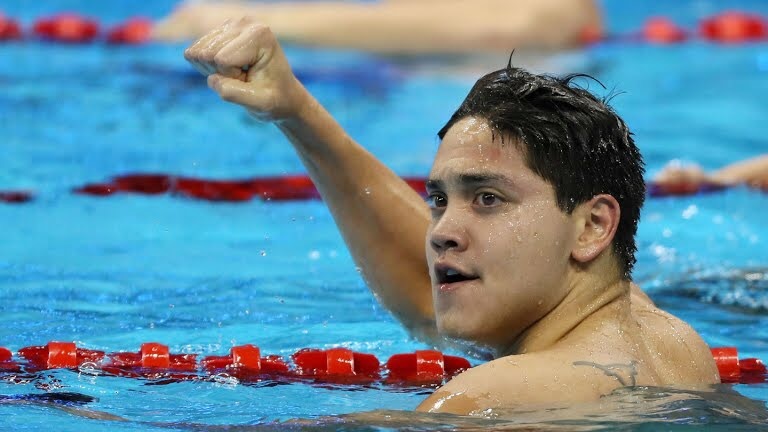 Schooling did it through belief that he is best in the world, perseverance behind years and months and weeks and days and hours of practice and devotion of seven years. At age of 14, he left for the United States to become the best in the world. He hasn’t looked back since. 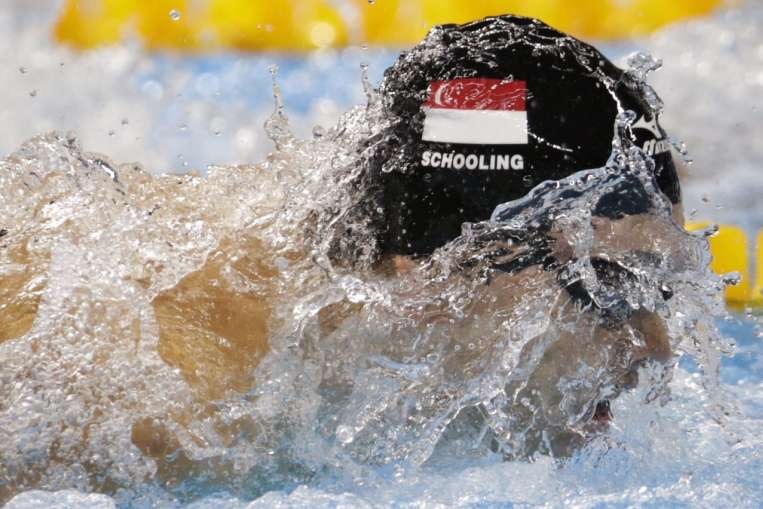 – Schooling is coming to Singapore for a whirlwind 4 day tour. – He will arrive at Changi Airport on 15th Aug Monday, 5.30am, on flight SQ67. Be there. – SportsSG is organizing an open top bus parade for Singapore’s first ever gold medallist, South Asia’s first ever swimming gold medallist with an Olympic record.